One third of the Lithuanians would temporarily emigrate from Lithuania. Mostly people go abroad to earn more money and get better opportunities for self-realization. A salary of 1000-1500 euros would probably keep the people in the country. The survey done by the public opinion and market research company "Sprinter research" and ordered by DELFI in April showed these trends. Eglė Verseckaitė, professor at ISM University of Economics and Policy Studies program, says that this matches all the explanations and trends of migration. However, she says that in Lithuania the global trends are extremely highlighted and sharpened. According to the survey done in April, 8.4 per cent of respondents would like to leave permanently. 32.4 per cent would like to leave only temporarily. 59.2 per cent mentioned that they're not thinking about emigration. The researchers noticed that emigration is more popular among the younger respondents (18-25m.). Ant the residents of Vilnius are less likely to want to leave. The people, who think about emigration, were asked about the reasons for this. The majority - 85.4 per cent, would emigrate for higher salaries, 37.7 per cent stated better opportunities of self-realisation. 20 per cent of respondents would like to emigrate for better life conditions, 17.6 per cent stated the wish for a better climate, 14.1 per cent feel discriminated against or not appreciated in Lithuania. 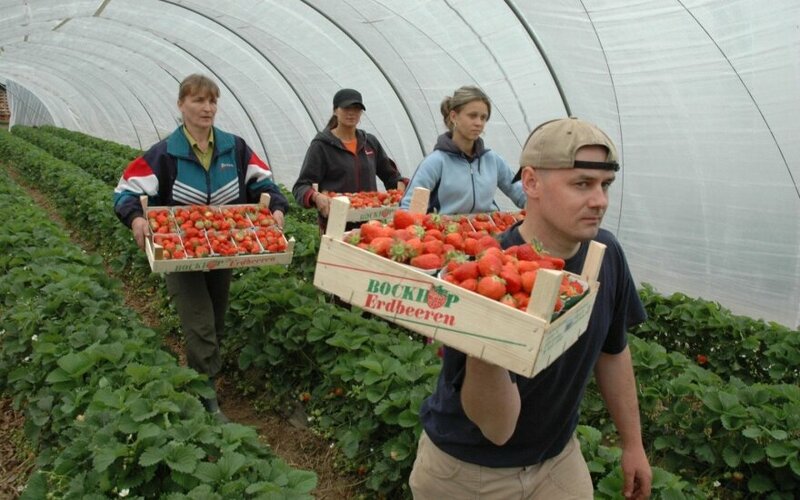 9.7 per cent said that they don't have a job in Lithuania, another 7 per cent would leave for family circumstances. This question was given only to those, who are thinking about emigration, and multiple answers were a possiblity so the sum of answers surpasses 100 percent. The researchers noticed that more opportunities for self-realisation possibilities abroad are motivating 26-35 year old, with higher education, from bigger cities. Also the respondents with lower to middle income with basic education, are expecting a better quality of. The people who were interviewed, provided the amount that would stop from emigrating. 30.1 per cent said 1251-1500 Euros, 26.3 per cent said that they wouldn't emigrate if they got 1001-1250 Euros. For 19 per cent 751-1000 Euro salary would be enough. 21.9 per cent said that they would be stopped from emigrating by a salary of 1,500 Euros or more. Respondents also stated the minimum amount which, in their opinion, they would earn if they emigrated. According to the authors of the research, in both cases men aged 26-45, with a higher education, and residing in larger cities gave bigger sums. "Truthfully the results aren't surprising, they match the main explanations and trends of migration. However, in Lithuania the global trends are extremely highlighted and sharpened." comments E. Verseckaitė. Summing up the surveys that were carried out in various countries, it is estimated that every sixth person would like to migrate. E. Verseckaitė noticed that, according to the survey in Lithuania, people that would emigrate is twice as many. The scientist agrees that the number who want and actually migrate is differs a lot. Out of a dozen or so percent of the world's population that want to migrate, just roughly 3 per cent are migrants, because a lot of those who want to migrate, can't afford it. Because you have to afford to buy a ticket, have the possibility cross the border, find a job, etc. 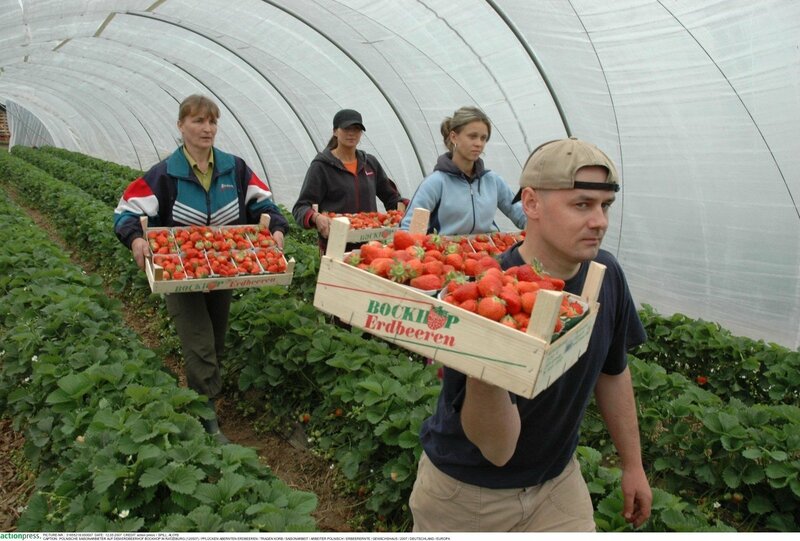 "It's easier for a Lithuanian is easier to emigrate than the average person in the world because of the free movement of labour within the EU borders. The importance of the possibilities for migration is more obvious also in the fact that attractiveness of the United Kingdom, which earlier open the doors wide for migrant, because of the uncertainty linked to "Brexit". Also the attractiveness of Germany is increasing after the restrictions of free movement of labour have ended" explains E. Verseckaitė. According to the professor at ISM, migration happens if the person thinks that its cost is lower than the possible benefit. The benefit comes down to the ability to have a better quality of life. "The differences between the wages and possibilities to find employment in different countries has always been and still remains the main reason for migration. Lithuania is not an exception but a classic case. On one hand, it raises some pessimistic thoughts because it means that it's impossible to fight migration if the economic situation doesn't improve" explains E. Verseckaitė. Unfortunately, she says, in today's world and especially in such a small country like Lithuania, decision makers, policy makers, where the guilty ones are usually being hunted, there are very few opportunities to have an effect on the economic situation. A massive reorientation to the knowledge economy is necessary but often the emigration of people with lower educational, of a lower qualification seems a more attractive and realistic way to ensure better living conditions than requalifying to profession that has more perspectives. According to the ISM professor, part of the migration analysts emphasize that there is one main area where politicians have the opportunity to influence the scale of migration. Making a living in one or another country depends not only on salaries but also on what kind of public services a person receives. So it is possible to live a good life with a lower income if the country ensures a free education, health care, adequate aids, pensions and other elements that allow us to feel safe. "Unfortunately, in today's neoliberal world there is little possibility to ensure this level of social security, which would allow people to feel safe and not force them to look for a better life, especially when the population growth isn't enough, so we find ourselves in a circle" said the interviewee. E. Verseckaitė draws the attention to the fact that in addition to the main, economic motive, the survey clearly shows the need for better self-realization which was expressed. It is mostly felt in groups that have more potential. "In this case Lithuania is not an exception. This trend is especially visible in smaller countries and the Caribbean and Pacific Islands, where about two-thirds of university-educated people emigrate from, and even 80 per cent emigrate from Jamaica. It is linked more with the possibilities for self-realization than the level of income. For example, the Seychelles GDP per capita is higher than in Lithuania, but three-quarters of university graduates emigrate from there. This figure reaches about 12 per cent in post-communist countries" said the ISM professor. According to E. Verseckaitė, the higher interest on migration among the youngest people is partially related to the education possibilities. The costs of emigration are also lower: they haven't settled down, don't have a family, housing, links that tie them to the state. Public opinion and market research company "Sprinter Research" conducted a survey on public opinion 2017 April 19-26, by the order of DELFI. The study included people from 18 to 75 years old. It was conducted through standardized interviews. The research took place in the whole territory of Lithuania, 65 points in total that were set to represent the entire country. The study had 1005 respondents, who are in proportional distribution of the population of the country. The research results may have an error of 3.1 per cent.